If you have more than 8 weeks before you travel you can secure your attraction tickets with just a - the balance will then be due 8 weeks before you travel. Deposits can be paid in instalments via your login area. Smile Alerts: and for orders over £500.00 the choice of either a . One of the USA's biggest sports, basketball has produced worldwide stars such as LeBron James, Shaquille O'Neal, Kobe Bryant and Michael Jordan and seeing a game in the flesh is an incredible experience. 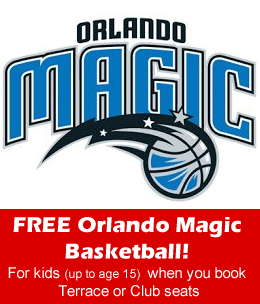 Get caught up in the super-charged basketball action as the Orlando Magic’s young guns face the biggest teams in the NBA. Every game matters, so every game is a thrilling experience. You can count on the Magic to show their commitment to winning on and off the court. You don’t have to be a basketball fan or even a sports enthusiast to enjoy an Orlando Magic game at an arena considered best in class in North America, named SportsBusiness Journal’s 2012 Sports Facility of the Year and recognized by TheStadiumBusiness Awards with the 2013 Customer Experience Award. 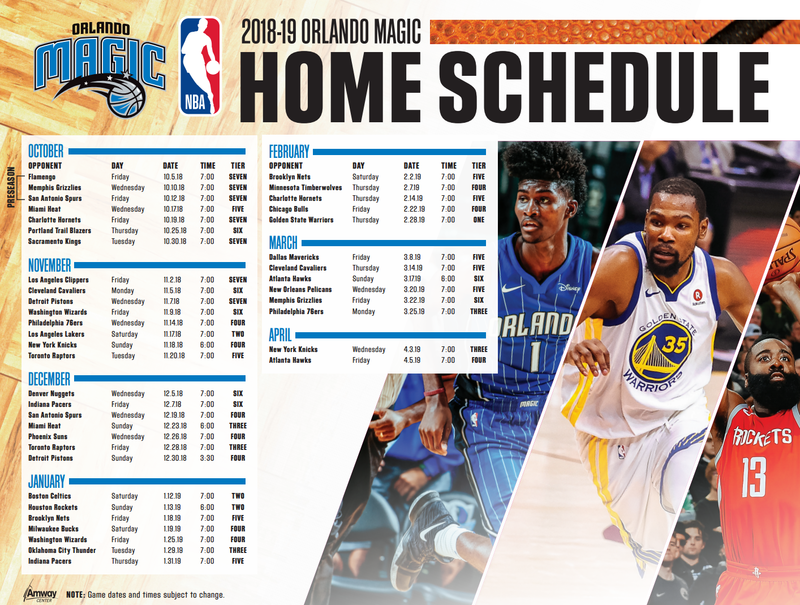 Amway Center, located in the heart of downtown Orlando, features something for every fan, including entertainment for adults and children, a restaurant that over-looks the court, several uniquely different bars, interactive areas and the tallest scoreboard in the NBA. From an electrifying light and video show, to halftime performances that will amaze, you’ll be on the edge of your seat through it all. Up-tempo music and non-stop contests and videos round out the game, making it an adrenaline filled experience. If you happen to be in Orlando when a game is scheduled, don't miss out on this quintessential slice of Americana! Tickets available for various dates from October - April. Please note: Tickets are on a request basis - your booking will be confirmed within 72 hours. 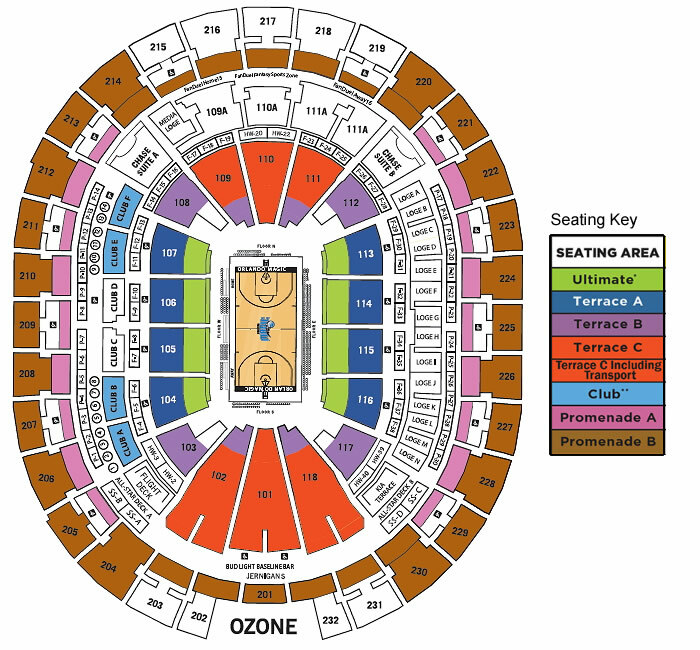 Amway Center, 400 W. Church St., Orlando, Florida 32801. We recommend comfortable shoes as you may have to climb steps to the seating areas. Children under 36 inches tall do not require a ticket when sitting on the lap of an adult. Children over 36 inches will need an adult ticket to gain entry. 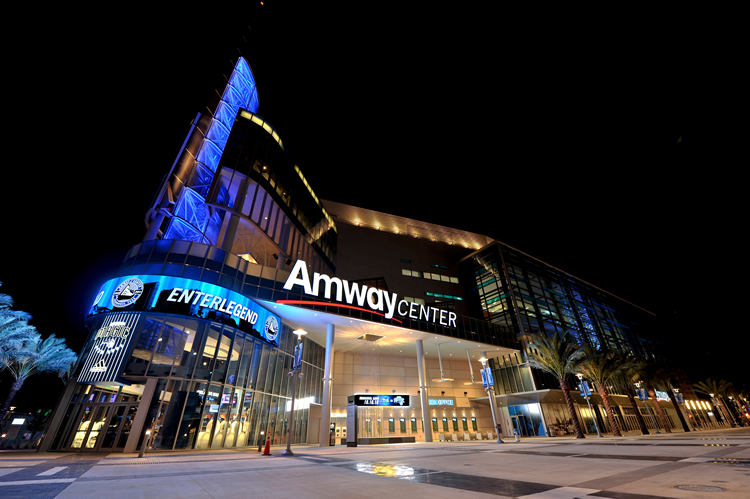 Video cameras and video footage is not permitted within the Amway Center. Backpacks and other large bags are not permitted. 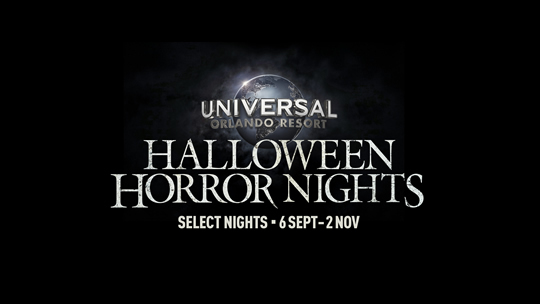 This ticket is in the form of an e-ticket which will be made available in your Orlando Attraction tickets account.